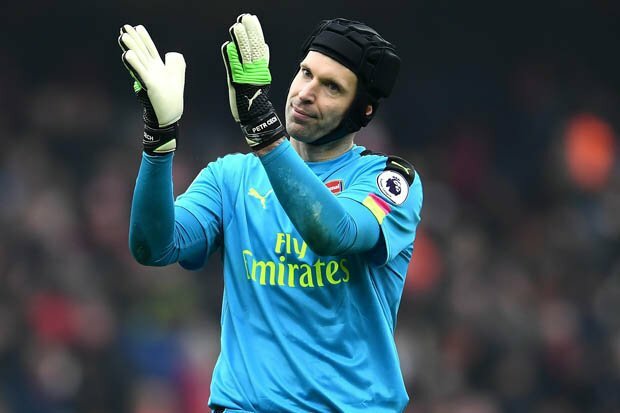 Arsenal shot-stopper, Petr Cech is set to become the first Premier League goalkeeper to reach 200 clean sheets when he goes up against former club, Chelsea on Wednesday. The 35-year-old currently sits on 199 clean sheets from 423 appearances and his nearest rival, is former Premier League keeper, David James in second on 169. The Czech International earned 162 of his EPL clean sheets during an 11-year spell with the Blues, winning three of his four golden glove titles at Stamford Bridge, and is currently on 37 for the Gunners. Cech was within minutes of reaching the 200 mark last time out against West Brom but a harsh late penalty converted by Jay Rodriguez saw his wait go on. Arsenal are currently six points behind fourth placed, Liverpool and a defeat to Chelsea would seriously threaten their chances. 1. Petr Cech on 199 clean sheets. 2. David James on 169 clean sheets. 3. Nigel Martyn on 137 clean sheets. 4. Pepe Reina on 134 clean sheets. 5. Legendary trio Edwin van der Sar, Tim Howard and Brad Friedel on 132 clean sheets. 6. Peter Schmeichel on 128 clean sheets.